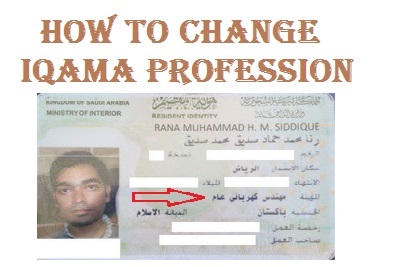 If you want to change iqama profession read this post and follow easy steps. Sometime people do not know and got a labor visa then they have to change iqama profession. Iqama profession is a most important thing for educated people or sometimes for other purposes. So if your iqama profession is different from your actual profession then you can change your iqama profession. In very short words i"ll tell you some truth, if your iqama profession is labor and you are the engineer and working as an engineer but you will be considered labor in government record and can not avail the facilities of an engineer. When you request for change iqama profession, only choose a good profession for you which match your work and education so that so can get benefits of inviting family on visit visa or permanent visa. 1. First of all, attest your latest degree from Saudi Culture and Saudi embassy from your home country. 2. Your degree and iqama profession you are applying for should be in the same discipline. 3. Now go to your HR department and request for your profession change and pay 1000 SAR (Profession change fee) and you are done. *Some profession can not change like home driver, gardener etc. 4. If you want to change your profession to engineer then you should have to register with Saudi Engineering Council first. 5. Accounts profession people have to register with SOCPA. 1. If you have a very poor profession already like labor, helper etc. 2. If Traffic violations against your employee. 3. If not sufficient funds available for profession change. 4. If you are a home driver, housemaid, helper, labor and on the individual or domestic visa. 6. If your employee is run away from employee status. 7. If ministry of labor did not approve your request.